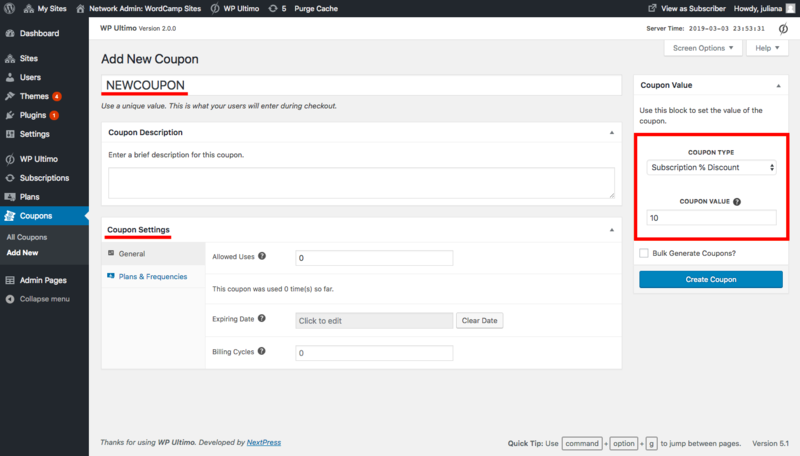 With WP Ultimo 2.0.0 you are now able to create a bunch of coupons at once. You can also export the page as a CSV File. And it is super easy! 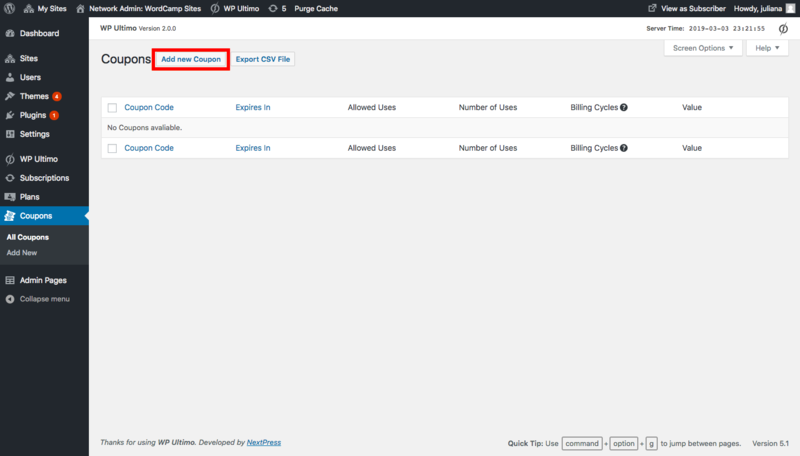 First, go to WP Ultimo’s Coupons page and click Add new Coupon. Give your coupon a name, define its settings and its value. 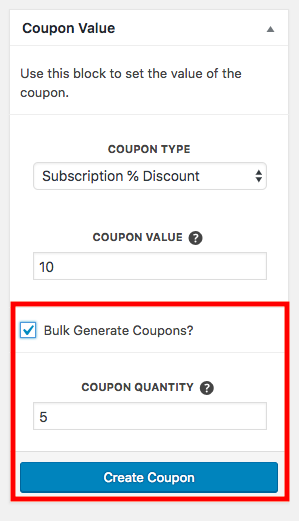 Now click Bulk Generate Coupons. A new field will appear right below this option. Just type the number of coupons you want to create and click Create Coupon. That’s it! You can see all the coupons you have just created on your Coupons page. If you want to export that page, just click Export CSV File. 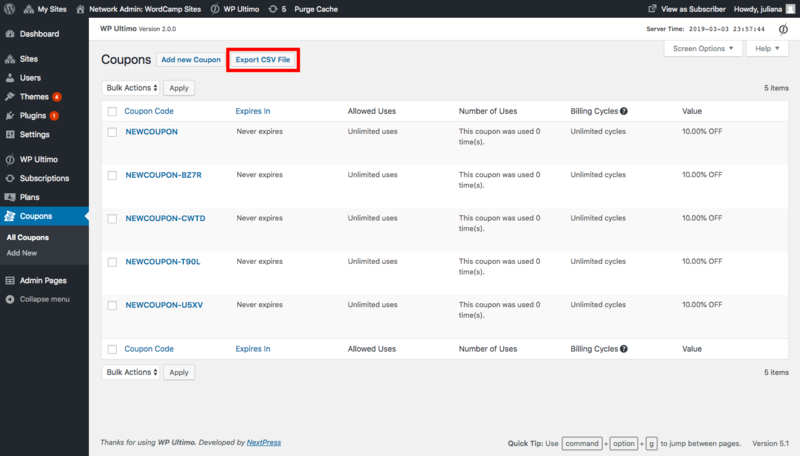 After that a .csv file will be downloaded automatically to your computer.